Modification Kit 'Tactical Range' for Nerf N-Strike Elite Retaliator including guiding shell, modification spring and catch spring. 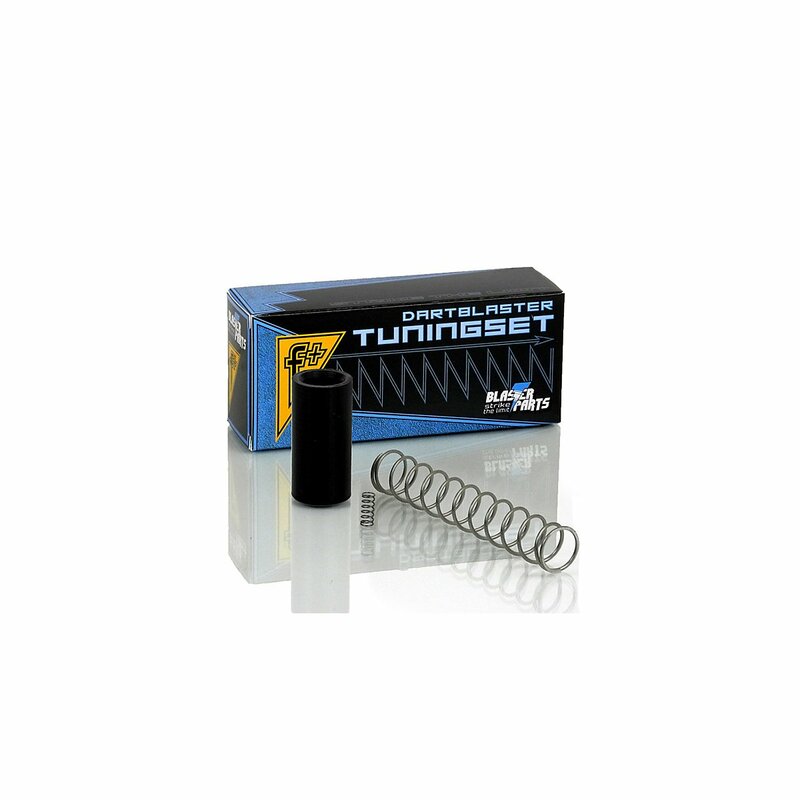 For the Retaliator we do not only offer a modification spring, but a whole set. The original plunger in this blaster is not well guided. When modded this can lead to accidental firing. 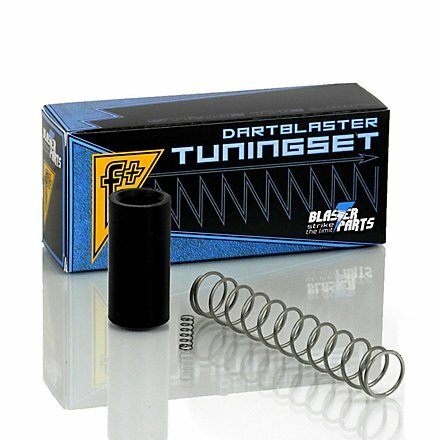 Our kit contains a guiding shell and a stronger catch spring to keep the blaster under control. This kit fits for both versions of the Nerf N-Strike Elite Retaliator: The XD-version and the non-XD-version. Approx. range with kit installed: 25 - 30 meters.